In previous years I deducted LTC premiums as part of medical expenses. This year I am not itemizing. I have K-1 income from a partnership. I get subsidized health insurance through my spouse's employer but we pay long term care insurance premiums on our own by check. Can I enter the premium in the TT box for that in the K-1 section. Since I am not itemizing this year it makes a significant difference in my tax. you stated in your original comments that "I get subsidized health insurance through my spouse's employer" but the real issue is whether her employer offers a LTC plan, whether you participate or not. "You can’t take the deduction for any month you were eligible to participate in any employer (including your spouse's) subsidized health plan at any time during that month, even if you didn’t actually participate." it further states, "These rules are applied separately to plans that provide long-term care insurance and plans that don’t provide long-term care insurance. " if your spouse's employer offers LTC benefit plans, you can't deduct the premiums. or Schedule F (Form 1040). figure your net earnings from self-employment on Schedule SE. payments to be included in your gross income. However, if the policy is in your name and you pay the premiums yourself, the partnership must reimburse you and report the premium amounts on Schedule K-1 (Form 1065) as guaranteed payments to be included in your gross income. so what the IRS is really saying is that you can treat the premium as a pre-tax benefit of the partnership if the partnership declares income equal to the premium and then you deduct the premium so it's effectively a "pre-tax" payment no different than the pre tax medical premium benefit your spouse probably enjoys via her employer. Even last year only the medical bills that exceeded 7.5% of your AGI was deductible - are you sure that was the case in 2017? I’m not changing the K-1. I am entering each box exactly. After entering the data The Turbo Tax questionnaire asked if we paid LTC premiums. If I check yes and enter the premiums I get a reduction in tax. Does that constitute changing the K-1? Why is TT asking? from what you have stated so far, appears the input should be zero. 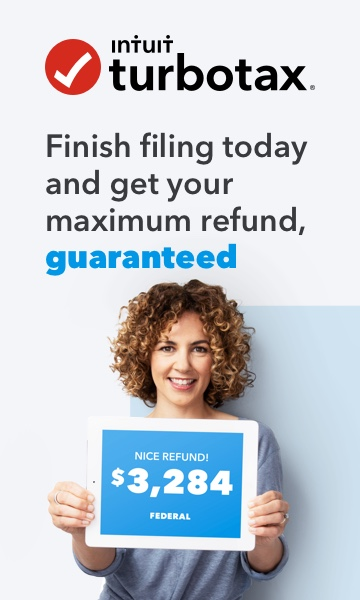 I see a different TT discussion for 2018: https://turbotax.intuit.com/tax-tips/home-ownership/deducting-health-insurance-premiums-if-youre-sel... This one says: "
most self-employed taxpayers can deduct health insurance premiums, including age-based premiums for long-term care coverage. Write-offs are available whether or not you itemize, if you meet the requirements. If you are self-employed, you may be eligible to deduct premiums that you pay for medical, dental and qualifying long-term care insurance coverage for yourself, your spouse and your dependents. This health insurance write-off is entered on page 1 of Form 1040, which means you benefit whether or not you itemize your deductions. Unlike an itemized deduction, this deduction treatment is beneficial because it lowers your adjusted gross income (AGI). Having lower AGI can reduce the odds that you’ll be affected by unfavorable phase-out rules that can cut back or eliminate various tax breaks. Keep in mind that this deduction treatment also means you can’t deduct the premiums when you calculate your self-employment tax liability." Thank NCperson. You covered all my bases. There are earnings in box 14A which would qualify. But the partnership is not reimbursing the premiums so no guaranteed payments for those premiums. It sounded to good to be true because it was. This raises a question. The TT questionnaire makes it easy and logicall to enter the LTC costs. The help screens cautioned me away from health insurance costs but not LTC. If LTC premiums mist be backed up by a box 4 guaranteed payment, why doesn't TT check for an entry in that box that would account for the amount claimed for premiums? Because TT is not perfect and it is not a common situation - very few probably fall into that small sliver of a category !!!!!!! As I noted above, I was hanging my hat on a bit of ambiguity in the 535 language: " I looked at IRS Publication 535 which covers this but it left me confused. It is clear that to deduct health insurance premiums the plan must be "established under the business." We don't qualify. But after that it address Medicare Part B premiums and Long Term Care premiums. To me these appear to be separate matters but the language is confusing. What ever happened to the government efforts to use plain language? " I think your reading that the "established" requirement applies to basic health insurance, Medicare premiums, and LTC premiums makes more sense than my wishful thinking. I was testing Free Tax online to see how it compared to TT in ease of use and thoroughness and went back to see why I had not entered the LTC benefits when I first ran through it. I noticed that when it got to the question regarding insurance it asked something along the lines of "Did you pay the premiums for health insurance or long term care insurance under a plan established y the business?" That language led me to pass on by.